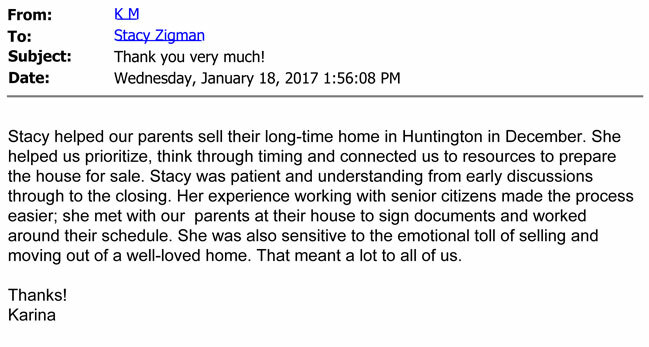 Stacy Zigman Is a REALTOR® with Special Training in Counseling Senior Home Sellers! 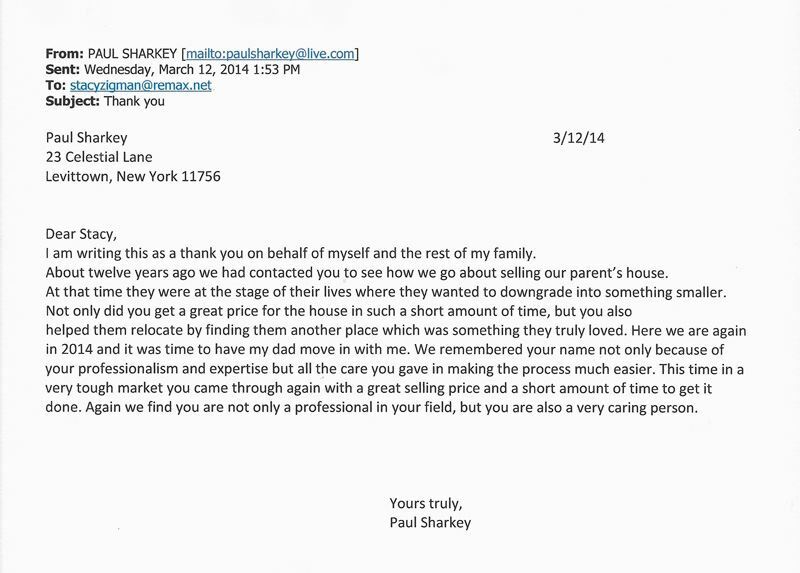 As we age, we demand specialists for our medical needs, so why not for our real estate needs as well? 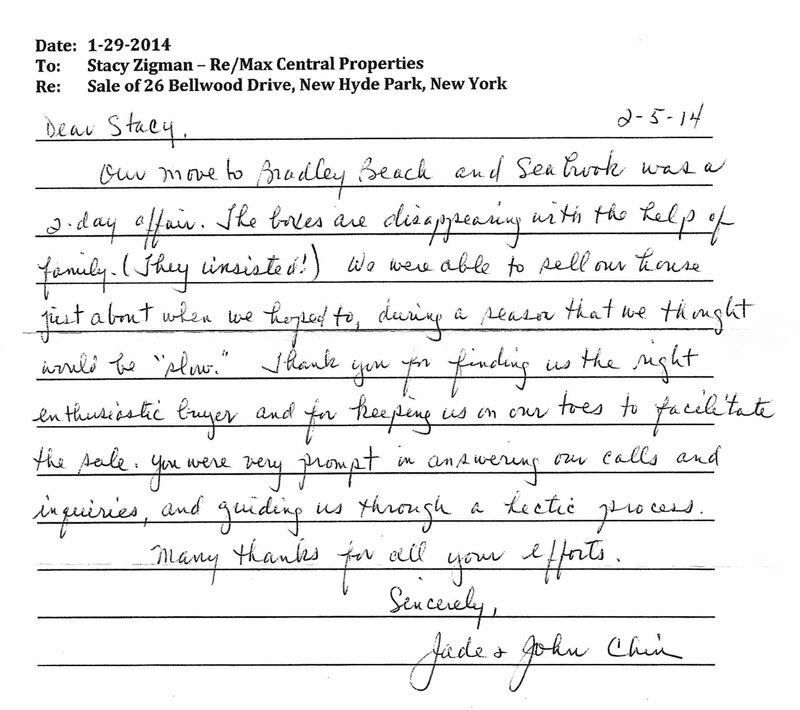 Is there an optimal time to sell my home? What are the tax consequences if I sell my home? What should I do (and not do) to prepare my home for sale. 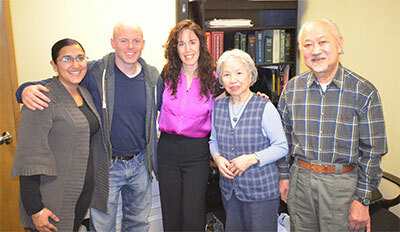 Senior home sellers John and Jade Chin happily celebrate with Stacy and their buyers Todd and Navdeep at their January 2014 closing. 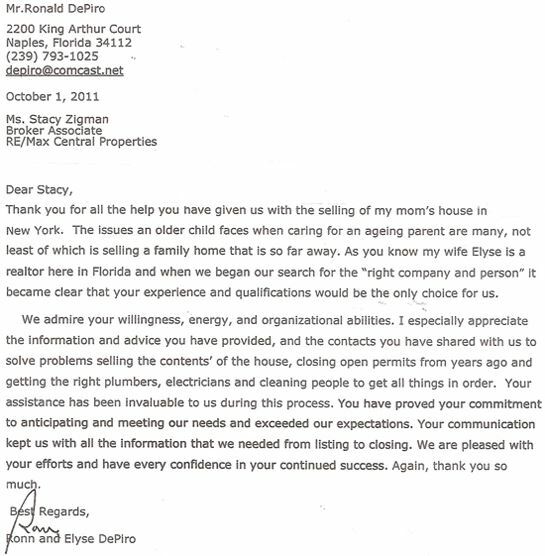 Senior home seller Lora Lubin smiles big alongside Stacy, her daughter Shellen and her attorney at the July 2012 closing of her Long Island home. The National Association of REALTORS® ("NAR") has identified those REALTORS® who have earned a specific designation called the Senior Real Estate Specialist ("SRES"). 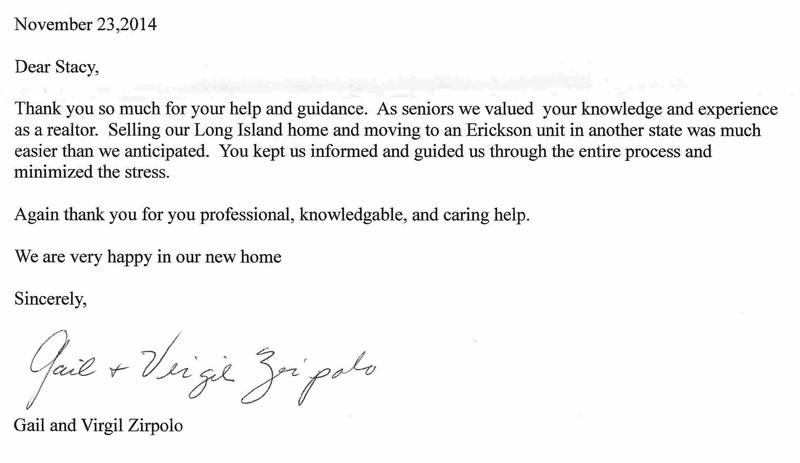 These agents are best equipped to assist seniors, and can add tremendous value and peace of mind to the overall sales process. 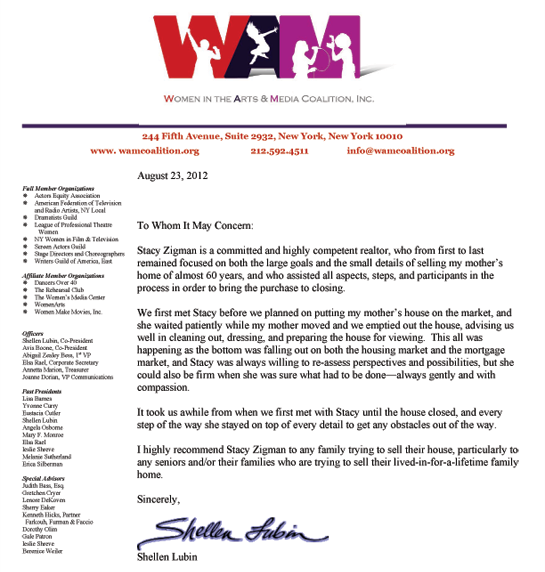 Stacy Zigman is one such designee. 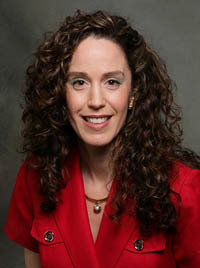 As a member of the Senior Real Estate Council, Ms. Zigman has not only successfully completed the educational requirements and other prerequisites necessary to earn her designation, but Stacy has over 24 years of experience in helping maturing clients make life-changing transitions (such as relocating and selling the family home). 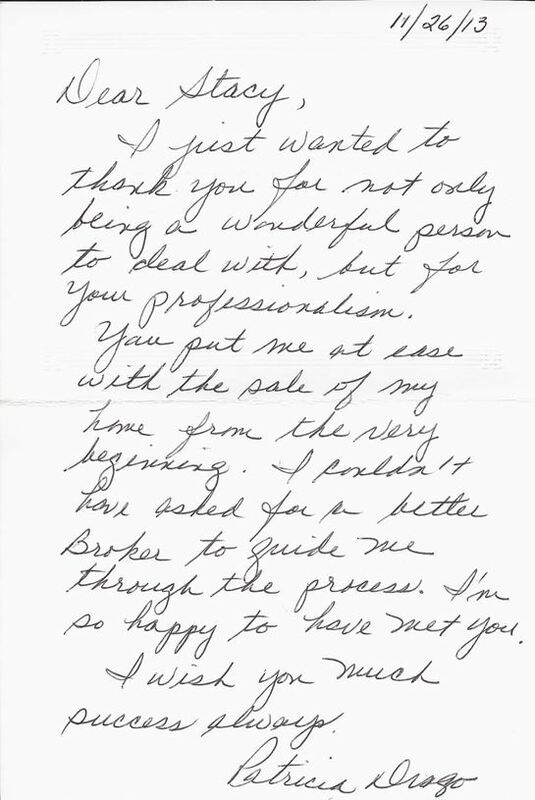 c) Suggest the appropriate professionals to address issues that are important to seniors including tax, estate planning, and elder-law issues. 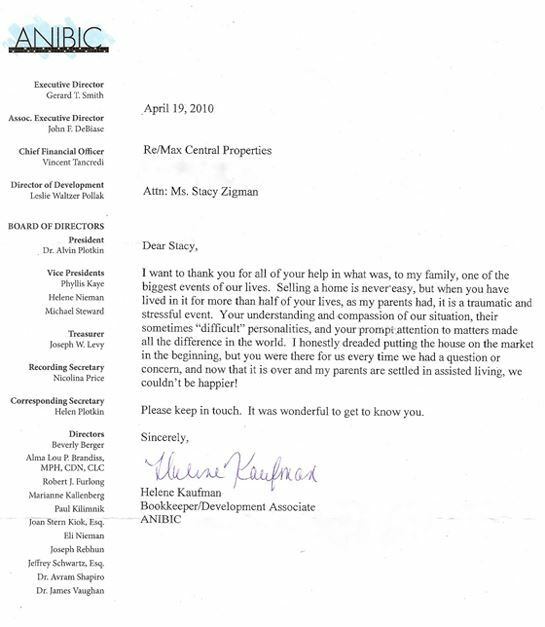 In addition to the knowledge, understanding and contacts Stacy has acquired through the SRES designation, Stacy's empathetic nature makes her the PERFECT agent to work with senior homeowners. 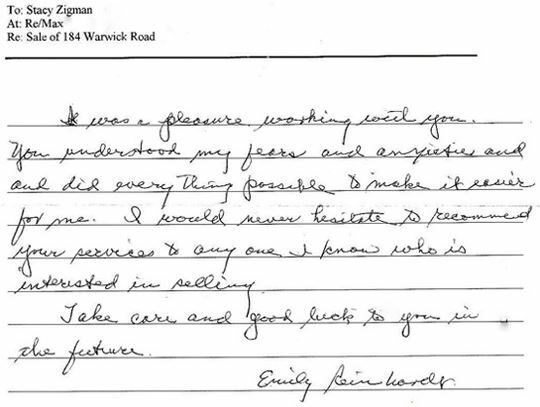 Ms. Zigman points out when working with a senior client, "I make certain that all their questions are answered and I encourage them to call me as often as they like." 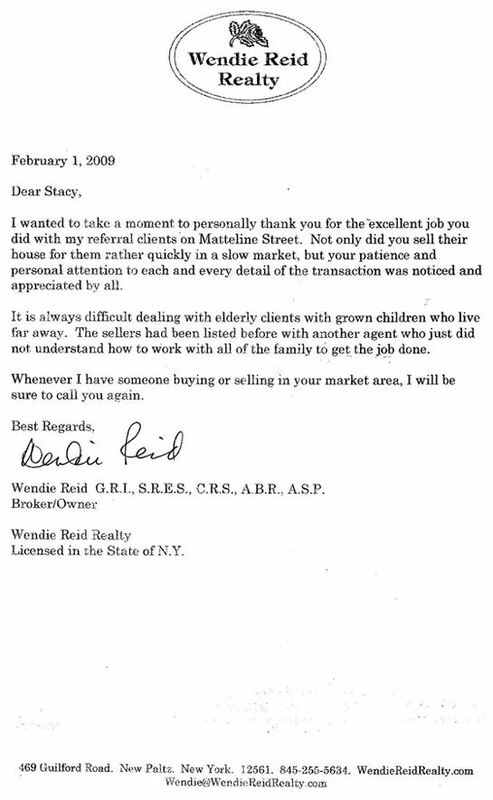 Although you don't have to choose a Senior Real Estate Specialist when selling your home, why wouldn't you? After all, for most senior adults, the homes that they live in are their largest asset and account for most of their net worth! 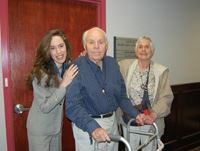 Senior home sellers Sol and Elaine Gardner and their REALTOR®, Stacy Zigman, on the day they closed on their home. 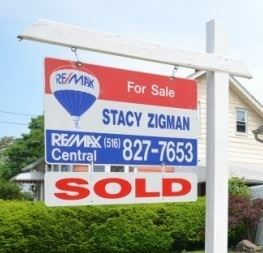 If you or someone you know is a member of the senior community and planning to sell a home, feel free to contact Stacy Zigman at 516-827-SOLD (7653) or email her. 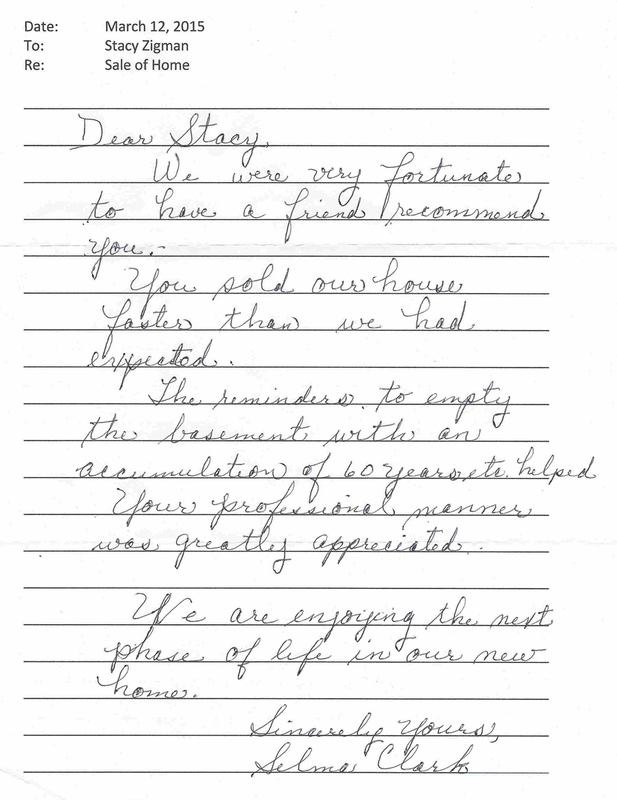 Here are some of the testimonial letters Stacy has received from satisfied mature homeowners and their families over the years.